Anjali Restorative Yoga, a well-respected style of nourishing, gentle yoga. These programs are designed to inspire your knowledge and confidence in a sound Restorative Modality. It will enhance your verbal skills in teaching any class, your observational skills, and can expand your skills set as a professional and marketable teacher. Anjali Restorative Yoga is a rich practice of deep and meditative support, both physically and emotionally. The practitioner is held by bolsters, pillows and blankets for sustained periods of time in deeply rejuvenating postures. 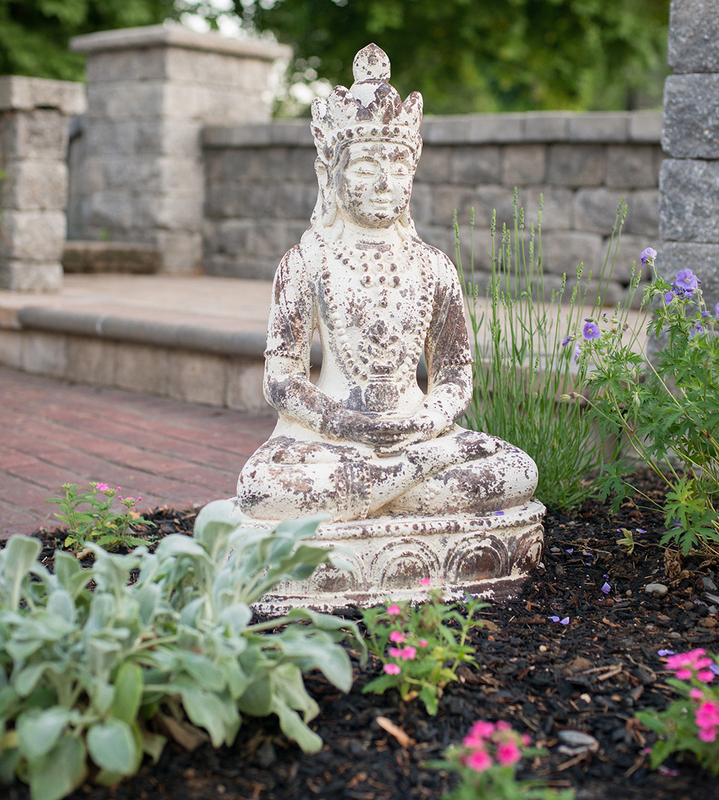 The hallmark of an Anjali Restorative Yoga practice is that the restorative spaces are held with incredible detail to ease, rich imagery, guided meditations, and restoring pranayama, or breathing practices. Anjali Restorative Yoga has Three Programs that can be taken in any order. If you are one who thrives in a one-to-one or small group setting and are dedicated to identifying the most necessary elements of wellness cultivation in another with most beneficial mindfulness-based, restorative and rejuvenating practices in others, this is for you. Module One is a part of our 300 hour Yoga Teacher Training. This may be taken as a stand-alone session for yoga teachers and also qualifies as 20 hours of Continuing Education requirements with Yoga Alliance. This set sequence utilizes soft cushions, bolsters, and blankets to optimize support, alignment, and relaxation of the spine. The student is guided through nine specific poses, each drawing from the one before it and offering the embodied lesson to the next pose. As such, this well-studied and time-tested sequence sends the student through a therapeutic and pause-filled Vinyasa of the spine in its seven different directions of movement: extension, side-bend right, side bend twist, backbend, forward bend, twist right, twist left. This is a careful realignment of the spine into its most natural four curves and gently strengthening and stretching the muscles that that support those four natural curves. The Subtle Body and Chakra System give us a great deal of access to conveying the depths of a meaningful restorative yoga practice. 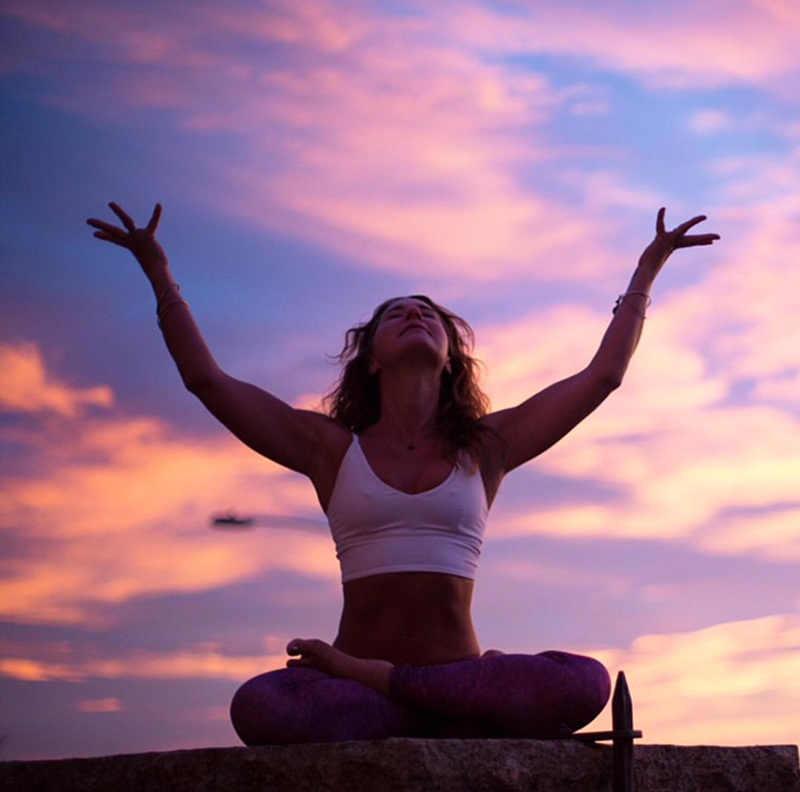 The style of Anjali Restorative, with its emphasis on connecting the physical awareness of rest to the mental and spiritual bodies, thrives in the world of the subtle body. By leveraging the teachings, theories, techniques of subtle body and chakra practices, we gain the ability to bring specific and informative Chakra archetypes alive. Learn a dedicated progression of supported postures, restorative shapes, vibrant imagery, powerful visualizations, stunning meditations, mantra, and pranayama/breathing practices. This rest directed practice, aligns each chakra to a posture and draws physical awareness and depth of relaxation from the lower body up the spine to the crown head. The effect is a rich sensory experience that leaves a poetic imprint on the mind, body and heart. We lovingly call this the “healing sisters sequence” as it is aimed at the two complementary, sister shapes of side bend and twist. These are two of the most profound shapes made along the spine. Their impact, separately and together, to the spinal bones and muscles alongside are impressive; however, it is their unique and sweeping influence of the breath-body that we love so much! These shapes help create space and patterning for deeper, fuller, more consistent breaths. This greatly inspires one’s ability to positively influence the emotional body. By combining these shapes with transformative and soothing breathing practices and deeply inspirational guided meditations, this practice is dedicated to building emotional intelligence and easing emotional stress, anxiety and depression. These trainings will be held at our Langhorne studio. This training is available as a 60-hour stand-alone Restorative Immersion. It also qualifies as Continuing Education requirements with Yoga Alliance. Module 1 is a part of the core requirements of the 300hr Teacher Training. Modules 2 and 3 may be used for 40 hours of elective requirements. Living wholeheartedly as founder of Earth Yoga Studio and the School of Embodied Poetry, Shannon is a writer, teacher and mentor of teachers around the world. She is a storyteller, sommelier and TedX speaker. Shannon infuses her bodies of work with a fullness, artful living and passion for life on and off the mat. Her instruments of instruction are detailed and clear, woven through a progression of imagery, poetry and truth. She encourages the practitioner to unlock the secrets held in the human heart and release stuck patterns that no longer serve, in order to attain new levels of integrated physical – emotional embodiment. She is described as ‘confidently vulnerable’. As a result, she inspires positive change in the lives of others. Off the mat, she loves to cook, teach wine tasting, wake surf, run, and enjoy the sunshine. Shannon is based out of Boulder, Colorado and her home studio, Earth Yoga Boulder. When not at home, she globe-trots to deliver transformative talks, trainings and retreats.